If you are a Tea drinker, I’m sure you know all about Gunpowder Green Tea. Form the Zhejiang Province, China, it is Tumble-fired and it’s leaves are rolled and look like tiny greyish green gunpowder pellets. It is a hearty tea, but a bit sweet. It has a straw/amber color. I usually steep it about 4 minutes at about 175 degrees for the water. Gunpowder tea is one of the best-known and most liked of all the standard green teas. Although it is complicated to manufacture, even the higher grades are affordable. It is also in my opinion one of the most forgiving of teas to prepare. It is easy to measure and it will tolerate a range of temperatures and it’s just a fun tea to watch it infuse. It turned out really nice and I liked it so much I let it cool and added lemon and made an entire pitcher so I could have it iced. I would definitely buy it again. Nice job, Twinings! Now to some fun. 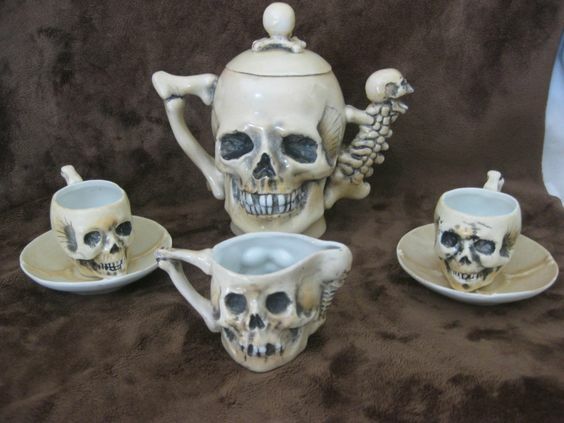 Another member of my Tea obsessed gang sent me these pictures of odd looking teapots! Enjoy! I’m still not sure where the tea comes out! For the crazies among us! This set is really old and sold for around $5,000! Right up this pirate’s alley! 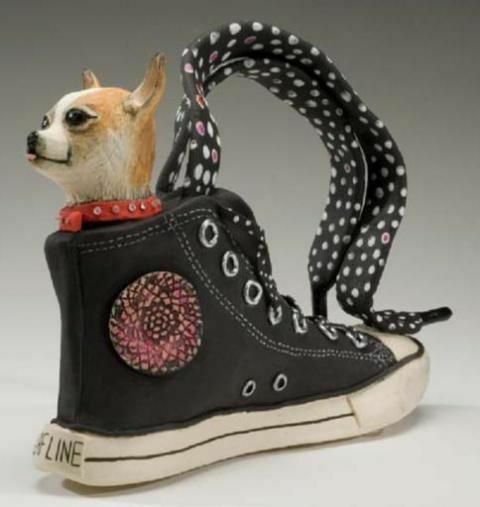 No, just no. But it’s funny as heck! Which one did you like or which one were you absolutely horrified by? Pu-erh Tea ( pronounced Pooh-air ) is one of the most interesting teas, but is relatively rare in this country. Dark, smooth, rich and almost chocolaty, it almost reminds me of espresso, without the excess caffeine. It is the only tea that is aged like wine or cheese and has a rich, full taste. While some Pu-erhs are old, age by itself doesn’t indicate how well it will taste. The prolonged resting period gives the teas their own earthy flavor. Pu-erh tea processing, although straightforward, is complicated by the fact that the tea itself falls into two distinct categories: the “raw” Sheng Cha and the “ripe” Shou Cha. All types of pu-erh tea are created from máochá (毛茶), a mostly unoxidized green tea processed from a “large leaf” variety of Camellia sinensis (C. sinensis assamica) found in the mountains of southern Yunnan. Pu-erh is a microbially fermented tea obtained through the action of molds, bacteria and yeasts on the harvested leaves of the tea plant. It is thus truly a fermented tea, whereas teas known in the west as black teas (known in China as Red teas) have only undergone large scale-oxidation through naturally occurring tea plant enzymes. Mislabelling the oxidation process as fermentation and thus naming black teas, such as Assam, Darjeeling or Keemun, as fermented teas has created endless confusion. Only tea, such as Pu-erh, that has undergone microbial processing can correctly be called a fermented tea. Aside from vintage year, pu’er tea can be classified in a variety of ways: by shape, processing method, region, cultivation, grade, and season.Pu’er is compressed into a variety of shapes. Other lesser seen forms include: stacked “melon pagodas“, pillars, calabashes, yuanbao, and small tea bricks (2–5 cm in width). Pu’er is also compressed into the hollow centers of [bamboo]stems or packed and bound into a ball inside the peel of various citrus fruits. 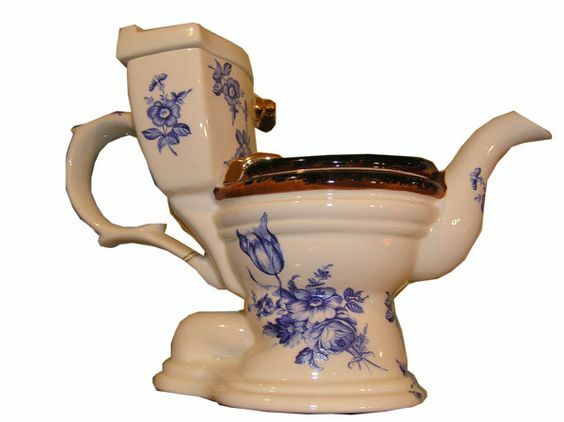 If you have tried it before and had a bad experience with pu-erh that tasted musty or like medicine, you may want to give it another chance. There are a lot of counterfeit pu-erhs out there, and authentic, aged pu-erh is difficult to find. It can come in all shapes and sizes and you can try your local Oriental foods market or you can order it on line. My market carries a nice one and I also order from Harney & Sons. Give it a try and let us know what you think! Also, follow my fellow tea lover, northernteaist, who does all kinds of experimenting with this tea! 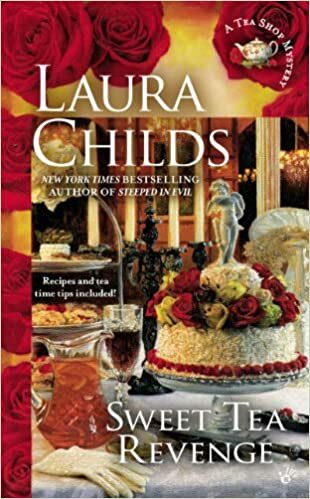 There is just nothing like Laura’s Tea Shop Mystery series! It is like being in a virtual tea shop with your best friends. And she always has recipes in the back of the book as well as party ideas and tea pairings! In this episode, Theodosia’s friend ( and we all know to use that term lightly) Delaine Dish has finally snagged herself a man that wants to marry her. So of course who does she ask to be her bridesmaid but Theodosia. As time for the ceremony grows close, Charleston is in the midst of a wild storm, Delaine’s sister hasn’t shown up yet and her groom not only has cold feet, he’s cold as in dead cold! So naturally Theo is pressed into service to help solve the murder of the groom. And she has plenty of suspects to choose from. All of the characters we know and love are back. Detective Tidwell, slurping up tea and stuffing his face with scones and clotted cream, while warning Theo to stay out of police business, and knowing she isn’t about to listen to him. Things get pretty nasty along the way and you will just have to get yourself a copy and see how it turns out. 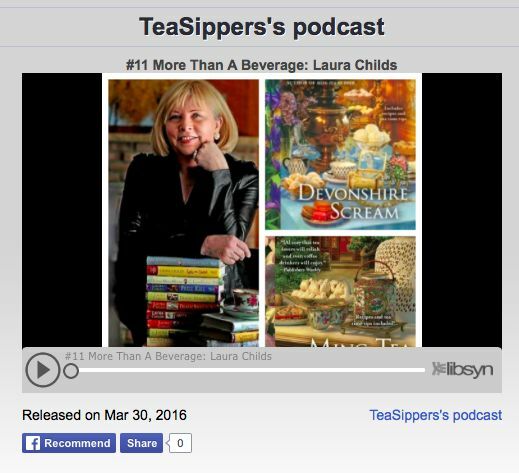 If you are a tea lover, this series is for you. If this was a weekly television show I would be planted on the sofa every week. These characters are so lovable, even when they are being irritating. The books are a wealth of tea knowledge and I have learned a lot from Drayton, Tea Sommelier extraodinare. I hope you enjoy the books as much as I do! This post comes to you from my frustration with the Plumber. Who was supposed to be here 4 hours ago to repair whatever is causing my bathroom to flood. In order to keep myself out of jail and texting him every 5 minutes, I have decided I should have a cup of tea and simmer down. Lapsang Souchong is one of my favorite teas. The leaves are small, black, with no golden tips. The aroma of a good Lapsang Souchong is powerful, sweet with a smoked aroma. A mix of pine and hardwood smoke, fruit and spices reminding me slightly of orange and clove. It has a medium body and the flavor usually matches the aroma. It is among the oldest of the black teas from China and one of the most beloved. Lapsang Souchong leaves are infused with their smoke flavors in two stages. Once they are harvested, the leaves are withered for two hours to make them supple, in a room above a chamber where an even fire of native pine logs slowly smolders. After withering, the leaves are rolled to form small, spindly needles. The rolling starts the oxidation. The needles are then gathered up into woven bamboo baskets and covered with a cloth. Gathered together in deep baskets and covered from the open air, the leaves take on the much more gentle flavors characteristic of Chinese black teas. The teas oxidize in a dry room, free from steam and after 2 hours of oxidizing, the dark brown leaves are spread out on to bamboo trays and moved to a small room above the same smoking chamber where they were withered. The same hot, piney smoke rises to the level above. The leaves rest here for four hours, drying out and absorbing a smoky flavor. The aroma of this tea is just perfection! It goes great with chocolate and is really good with breakfast and type of smoked meats! If you haven’t tried it please do and let me know what you think! This has to be one of my favorite of all Tea companies! Not just for the tea but for the story of the family. 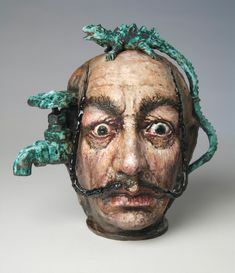 I’ll give you a short version here, but to get a real feel for them you can go to their website http://www.harney.com. Over 30 years ago, John Harney, as owner of the historic White Hart Inn, in Connecticut, developed a passion for fine teas. He was helped along on his journey by Stanley Mason, and it was Stanley who taught John the art and business of the craft. Starting production out of his basement in 1983, John began his own journey in mastering the craft of tea blending. Serving his distinctive blends with inn guests, he soon found they were coming back for more. Never did John Harney imagine that his small home-run business in Salisbury, Connecticut would turn into a global operation, now headquartered in Millerton, New York filling 90,000 square feet of warehouse space, and employing over 155 people, making it one of the largest employers in the Hudson Valley. The company, which sources, blends, and packages their own product from start to finish, has grown from their original six teas, to more than three hundred. Their story truly captures the essence of American Business Ingenuity. Harney & Sons Tea remains family owned and managed, with three generations of Harney’s preserving John’s tradition of fine tea and traveling the world in search of the finest ingredients. In 2006, Michael and Paul Harney decided membership in 1% For The Planet would provide Harney & Sons with the opportunity to drive positive environmental change in our geographical region. Our production facility is located in Upstate New York surrounded by the beautiful mountains that make up the Berkshire Range. We are minutes from the Appalachian Trail. Our facility is located between the Hudson River to our west and the Housatonic River to our east. The Housatonic offers some of this country’s finest fly-fishing. Joining 1% for The Planet meant we could directly donate one percent of our total sales to the environmental organizations of our choice. We also pay annual membership dues to 1% For The Planet to help this exemplary organization defray its overhead costs. We encourage our business associates to visit their website: http://www.onepercentfortheplanet.org for more information. So far they have donated over half a million dollars to this cause. And this is why I love this company! They also have two Tasting Rooms. Both locations offer 250 varieties for you to try. One of my favorites is the Irish Breakfast Tea,which is 100% Assam and is delicious. You can buy it loose leaf, in teabags, sachets or capsules. 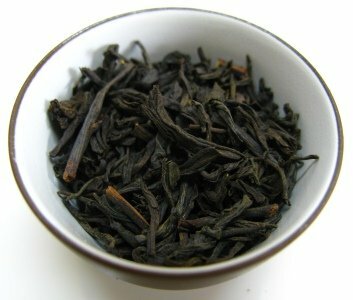 It is a nice hearty morning tea with dark brown leaves and a medium dark color. It does have some of the malty aroma of Assams but is toned down. It is a good tea for those milk and sugar lovers. As for the Herbal Teas they offer 3 classes: Traditional, French and modern flavored versions. French Super Blue Lavender is one of my favorites! Olive Leaves is surprising and lovely! They also offer all things Tea related as well as Gift Packages. Such as this lovely Earl Grey . The Great Mississippi Tea Company sits on about 289 acres of the homestead of Seymour and Sarah Arizona Calhoun Boone. Seymour was the great-nephew of the famous Daniel Boone. His wife was the great-niece of John C. Calhoun. The land is situated in Lincoln County, Mississippi. The Boone family homestead is still owned by descendants of Seymour and Zonie Boone. In recent years the family decided to enter into commercial tea farming in order to produce an ethically sustainable crop as a beacon for the modern world. The farm is also home to 3 live oaks planted from seedlings grown from the live oaks that stood at Beauvoir, the home of Confederate President Jefferson Davis, in Biloxi, Mississippi, located on Hwy. 90 on the coast of Mississippi. The Great Mississippi Tea Company is steeped in American history, revolution, and pioneering spirit. And now it hopes to bring about a revolution in the Tea industry. through implementation of new industry standards that should encourage others around the globe to look at their own operations and change them to become ethically sustainable not only to the planet but also to their fellow man. They have also begun the process to be certified USDA organic. We are all cheering for this wonderful family and their success! Visit their website for Blog updates and you can follow them on Facebook also. When I was researching American Tea producers someone told me to ask my Momma about the one in Brookhaven, where my parents had retired to a long time ago. I was delighted to hear about this Tea company. Brookhaven is one of the most charming southern towns and the people who live there are warm and gracious and family. Having lived for years in Biloxi I’ve made many a trip to Brookhaven. And as if that wasn’t enough of a connection, my fiance’ is the 5x great- nephew of Daniel Boone also. Through Daniel’s sister, Elizabeth, who married William Grant. With all of these connections how could I not include it in the American Tea Series! This was posted on their FB yesterday. This week I want to talk about tea grown right here in the United States. And to kick things off is the place I know the most about. My parents were married in Charleston, South Carolina. My Momma was living and working with her best friend in her home state when my Daddy and his best friend sailed into the Navy yard there. The rest is history, Momma and Daddy got married and their best friends ended up marrying each other as well! I have always had a love affair with Charleston. Everything I love about the South is summed up in Charleston. So what better place to start this series than at The Charleston Tea Plantation! The Charleston Tea Plantation is located on historic Wadmalaw Island in the heart of the Lowcountry of South Carolina. The history of the Island dates back to mid-June of 1666 when it is believed that Captain Robert Sanford and the crew of the Berkeley Bay landed on the shores of what is now known as Rockville, South Carolina. On June 23, 1666, he and his crew claimed the land for England and the Lords Proprietors. Today, Wadmalaw is considered to be one of Charleston’s most unspoiled islands. It is approximately 10 miles long and 6 miles wide. The Island’s only connection to the mainland is a bridge that crosses over Church Creek. Wadmalaw provides the perfect environment for propagating tea. With its sandy soils, sub-tropical climate and average rainfall of 52 inches per year, Wadmalaw possess idyllic conditions for the Camellia Sinensis plant. This plant is currently used to produce both black and green teas and exists in over 320 varieties on the 127 acre grounds. The Charleston Tea Plantation is the home of American Classic Tea, tea grown in America. Located in the heart of Low Country it boasts a working Tea Factory and a Plantation Gift Shop. In 2003, the Bigelow Family purchased the Charleston Tea Plantation and formed a partnership with the former owner, William Barclay Hall. American Classic Teas are the only teas made from the green leaf provided by the tea plants on the grounds. You can purchase tea in the Gift Shop, on-line or at stores listed on their website: http://www.charlestonteacompany.com They also offer a line of Body products as well! They offer tours both inside and out where you can see and hear how the tea goes from plant to product. Hours are Monday through Saturday 10 a.m. to 4 p.m. and Sunday from Noon to 4 p.m. They also offer group tours, so call ahead at 843-559-0383. The Trolley tour is especially nice ending with a trip to the Gift Shop and all the American Classic Iced Tea you can drink! The first thing that struck me about this book was the cover. The beautiful, soft pastels made me smile the minute I saw it! And the book is full of the most exquisite photographs of the pastries, tea sandwiches, and cakes. I have been studying all things tea related for many years. I have never seen so many varied recipes in one place. I tried almost everyone in the book and they were all simple, just a few ingredients, but oh the taste! From the cream scones to the pink velvet cake to the tea sandwiches. So many of the Tea books I have read have been written by bakers who have their own well established bakeries and while they are a pleasure to read and look at the pictures, it would take me all day to decipher the ingredients list and I would probably have to hire someone to bake the goods. Not so with this book, it is easy for anyone to understand and bake anything in the book. This is one of those books that I will keep forever! Thankfully I received it as a gift and it is one I will treasure. 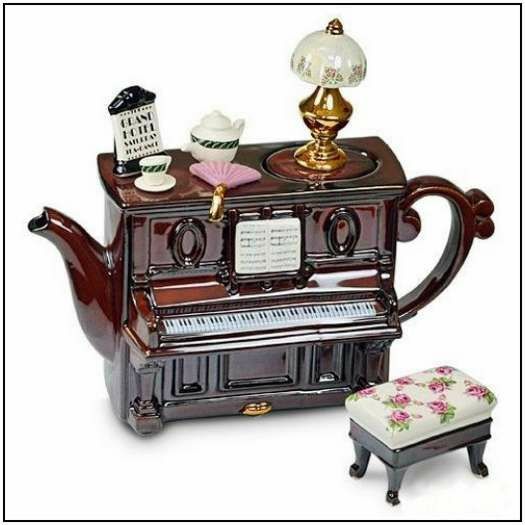 Enjoy your Sunday and don’t forget to stop and enjoy a nice cup of tea and something decadent!